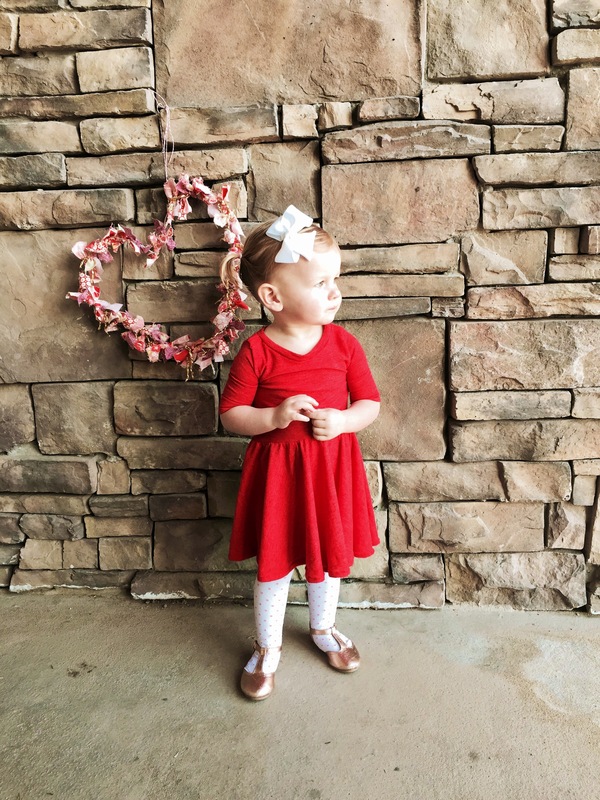 With Valentines Day approaching (one of my all time favorite holidays), I was inspired to make a cute little dress for my 18 month old little girl. I’ve seen some similar dresses in etsy shops and I thought I’d try to make one for myself. I put the whole dress together in an afternoon, it’s very simple. 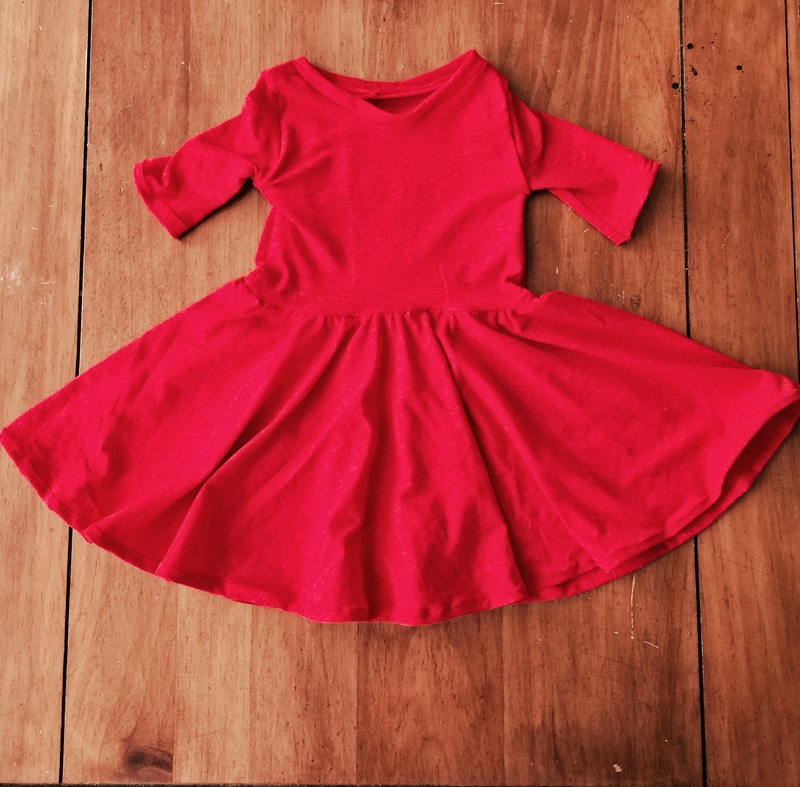 I made it using solid red Cotton Jersey Knit fabric that I found on sale at a local fabric shop, but this dress would also be so cute using a fun printed knit fabric. 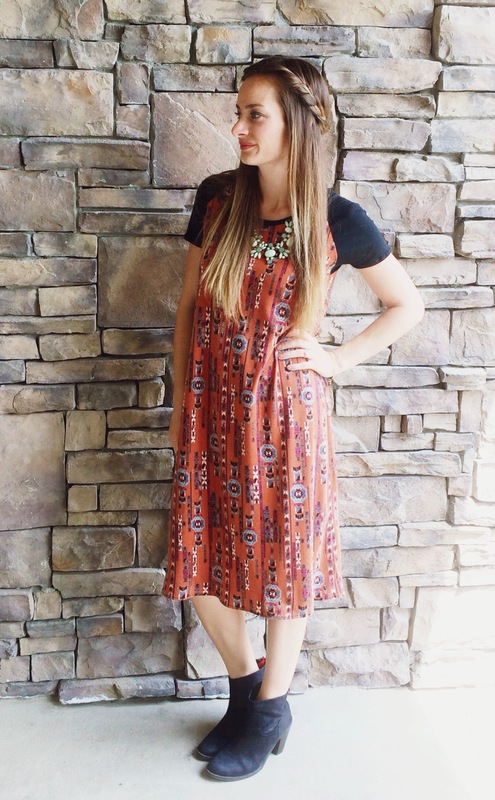 Check out Girl Charlee online for some great knit fabric options. Best of all, my daughter loves to wear it and twirl all around. It’s so comfortable for her to wear, and it’s so easy to slip on. I’m definitely planning on making some more! -I used about 3/4 of a yard of fabric, but this depends on the size you need. (Mine was for an 18 month old). First of all, you need to create your pattern. For the top part of the dress, I used one of my daughters fitted t-shirts as template for the dress front and back pieces. I traced from about the waist area to the neckline with the shirt folded in half. Make sure to add a 1/2″ for your seam allowance. Next you need to draw out your sleeve. See my image below for a good visual. 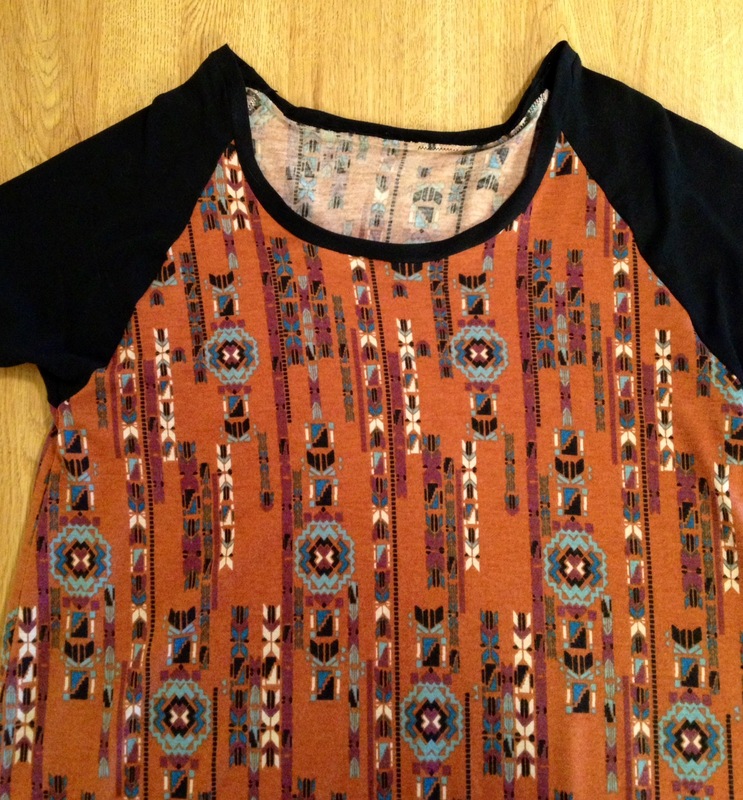 Use your t-shirt as a guideline again for the top of the sleeve, and then add desired length. Now we need a neckline facing. This is easy. 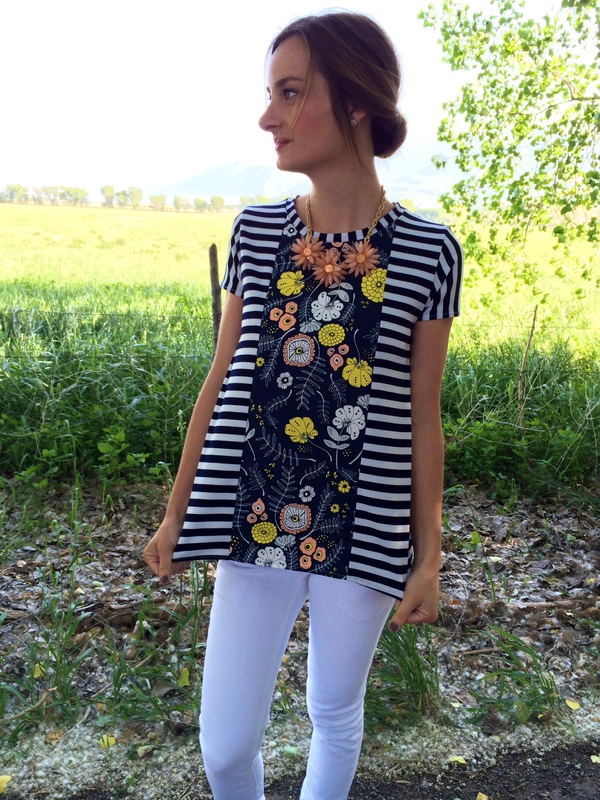 Measure the length of neckline on your t-shirt. Mine measured about 8″ in the front and 7″ in the back. Add them together -1 1/2″ and draw a line on your pattern paper. So I drew a line that was 13 1/2″ long. Next draw the width of the neckling facing, depending on how thick you would like it to be. I wanted mine to be 1/2″ thick to I added 1 1/2″ width. It will look like a rectangle when your finished- see image below for my pattern piece. 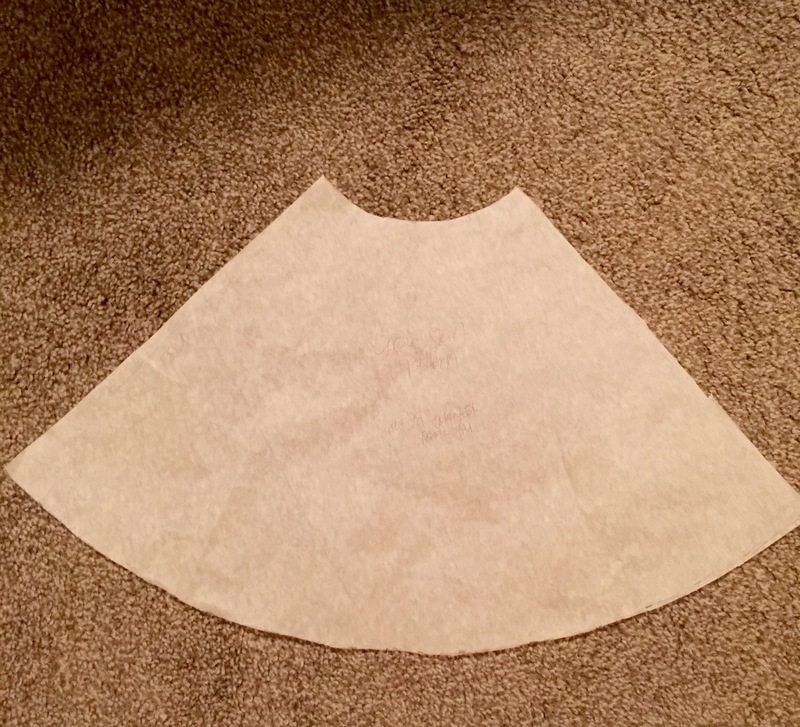 For the skirt part of the dress, we will need to create a circle skirt pattern. This is so easy. I used this tutorial, it’s very clear and my skirt turned out perfectly. Just follow her directions for drawing the pattern and cutting the skirt. Let’s start putting this all together. 2. Line up Front and Back Dress bodice pieces RST and pin at shoulder seams, sew at 1/2″ using zig zag stitch if you don’t own a serger like me. 3. Hem your sleeves. 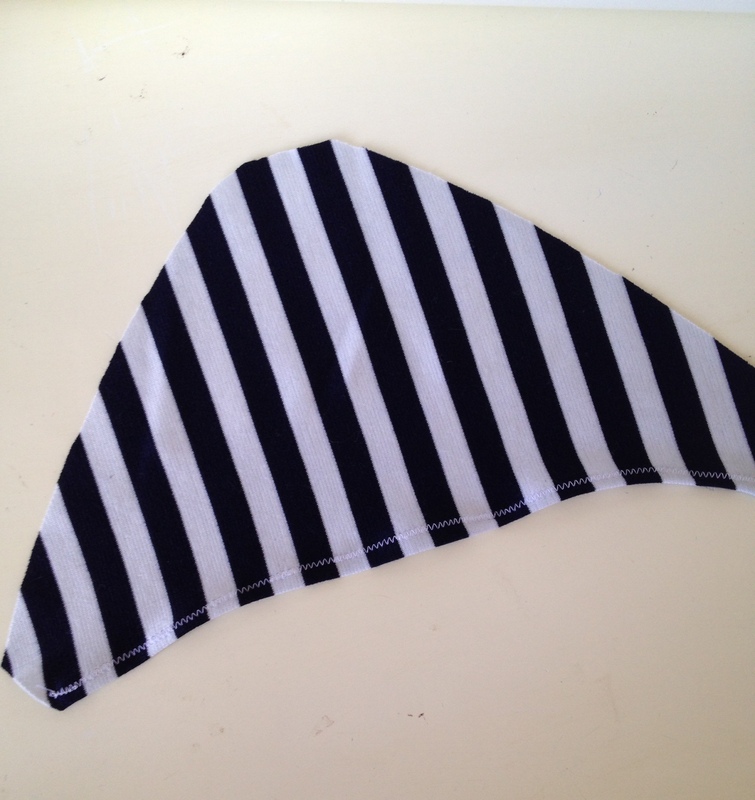 I just folded the edge up about a 1/2″ and sewed right on the raw edge using a zig zag stitch. 4. Open up your bodice pieces and find to edges on the sleeve, see where my pins point this out below. Pin sleeve to Bodice Front & Back pieces RST, matching end points and centers. Sew. 5. Pin Bodice Front & Bodice Back RST from sleeve end to waistline. Sew at 1/2″ with zig zag stitch. 6. Now we need to sew the skirt to the bodice. First we need to prep our skirt to be gathered by ease stitching (using a wider stitch) sewing with a straight stitch at 1/2″ & 5/8″ around the waistline edge of the skirt. Make sure to leave your threads long enough for pulling. 7. 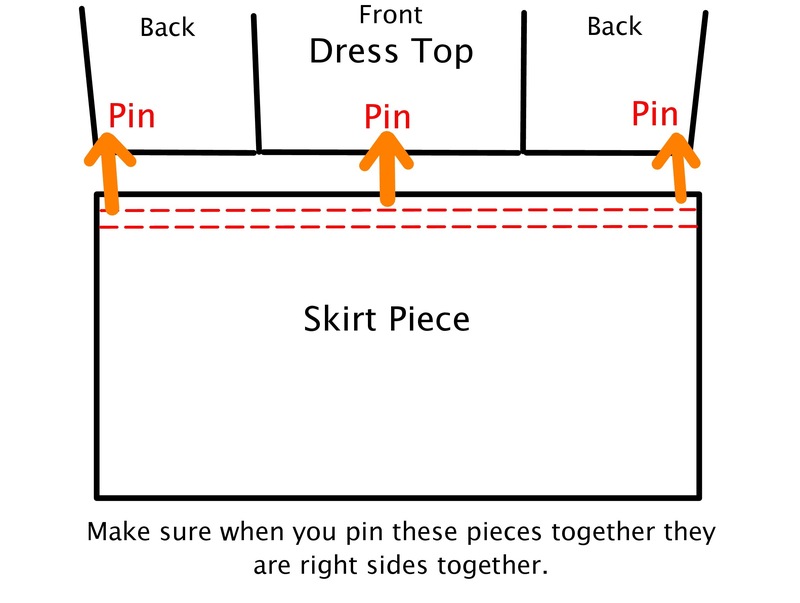 Evenly pin your skirt to your bodice RST in about 4 places. Lightly tug on thread ends of ease stitching to gather the skirt, make sure to distribute gathers evenly until the bodice and skirt pieces match up. Pin and sew at 5/8″. 8. I recommend trying the dress on at this point. I had to adjust the neckline a little (make it wider) to properly fit my daughter. Make any needed adjustments at this point. Trim seam allowances. 9. Next, we need to sew in our neckline facing. Sew facing ends RST. Trim Seam allowance. Fold neckline facing piece in half WST. Iron flat. Pin RST to bodice neckline. 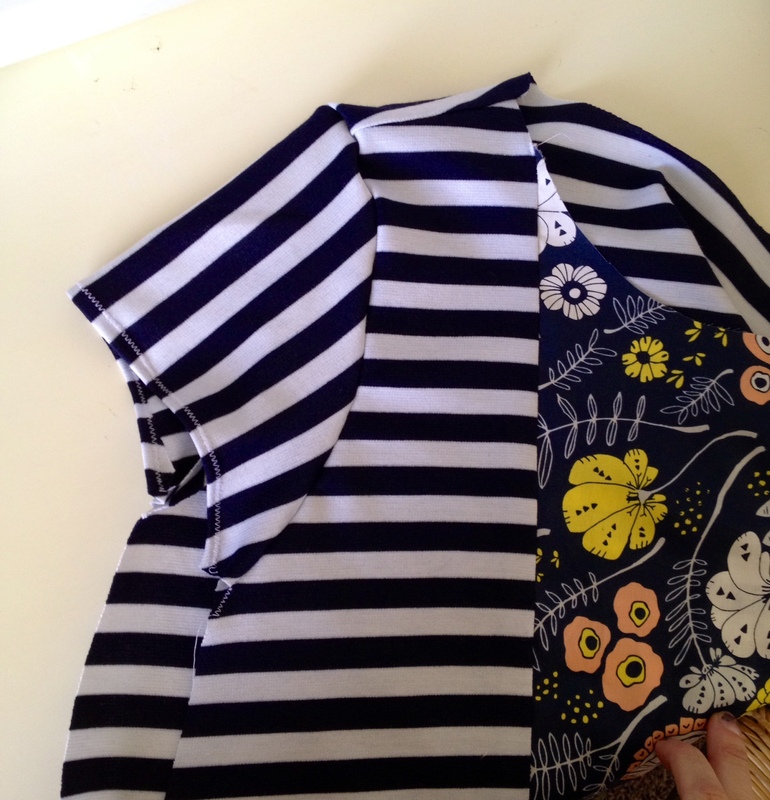 (Make sure to line up neckline seam with the bodice center back). 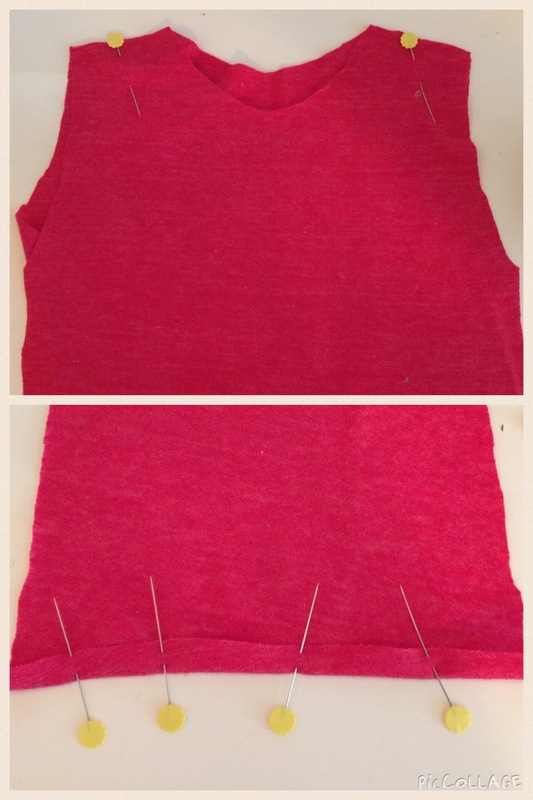 Sew at 1/2″ using a straight stitch. Trim Seam allowance, and iron flat. 10. 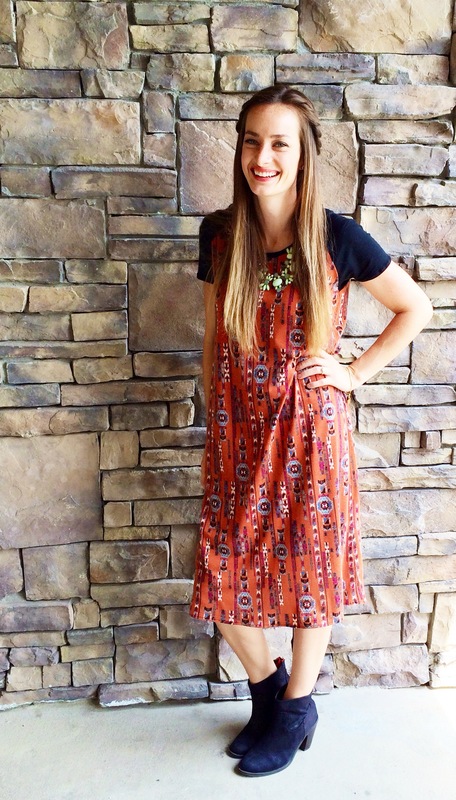 Hem the bottom of your dress to desired length! I have been dreaming up maternity patterns for the last few weeks, but none of them have really inspired me. I couldn’t find any tutorials or patterns I liked either. I also have a wedding coming up in December that I need a berry colored dress for, and I haven’t been able to find anything online (that is also affordable) that I love. Last Saturday I woke up early, looked through my fabric stash and found this lovely berry jersey knit in my pile and I went to work. I wanted something I could dress up or dress down, feel comfortable in, and also grow into. This is what I came up with. I put the whole thing together in one night, so it’s very fast and very simple. I really like how basic it is, there are so many ways to dress it up or down. I also left the hem line pretty long (longer than I would like) so I could alter it exactly how I need before the wedding. (I get realllllly big and the wedding is still two months away- so I’m playing it safe). Anyways, on to the tutorial. I found my fabric for $2 a yard at a discount store in LA, making the dress a total of about $5 with the zipper and thread. Can’t beat that. Sewing your own clothes CAN be worth it if you can find a good deal on your fabric. If you don’t have a discount fabric store near you, I highly recommend checking out Girl Charlee online. They have knits on knits for cheap prices. First you will need to create your pattern. 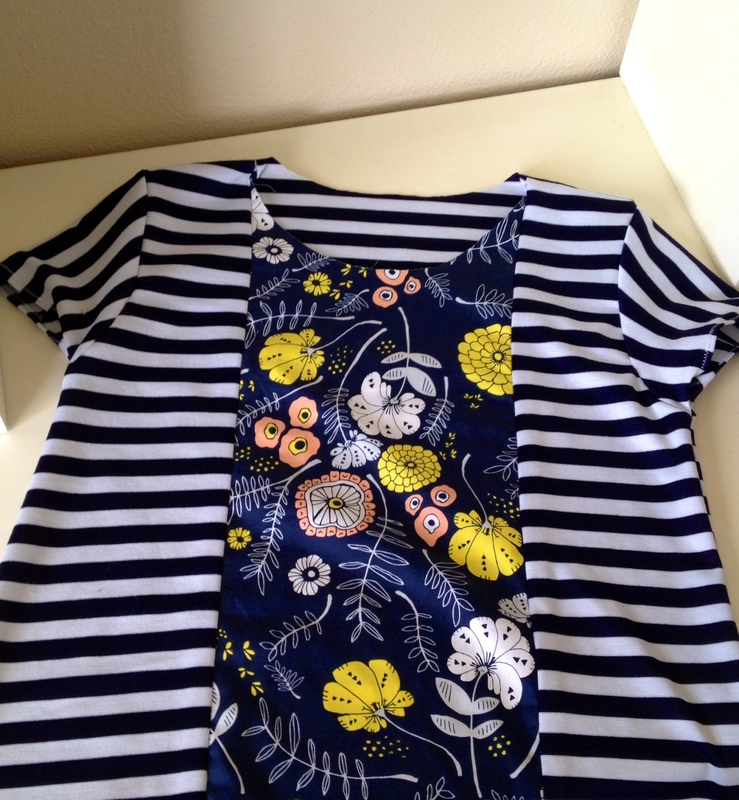 Use a T-shirt that fits well or a previously used pattern you know fits well as a guideline. You will need these pieces: (sorry for the bad image, it will help give a better visual though). -Bodice Front (cut 1 on fold) & Bodice Back (cut 2) (mine measured about 14″long- length from shoulder seam to just under your bust plus 5/8″ for your seam allowance). -2 Sleeves (I used a previously used sleeve pattern altered to a longer length). 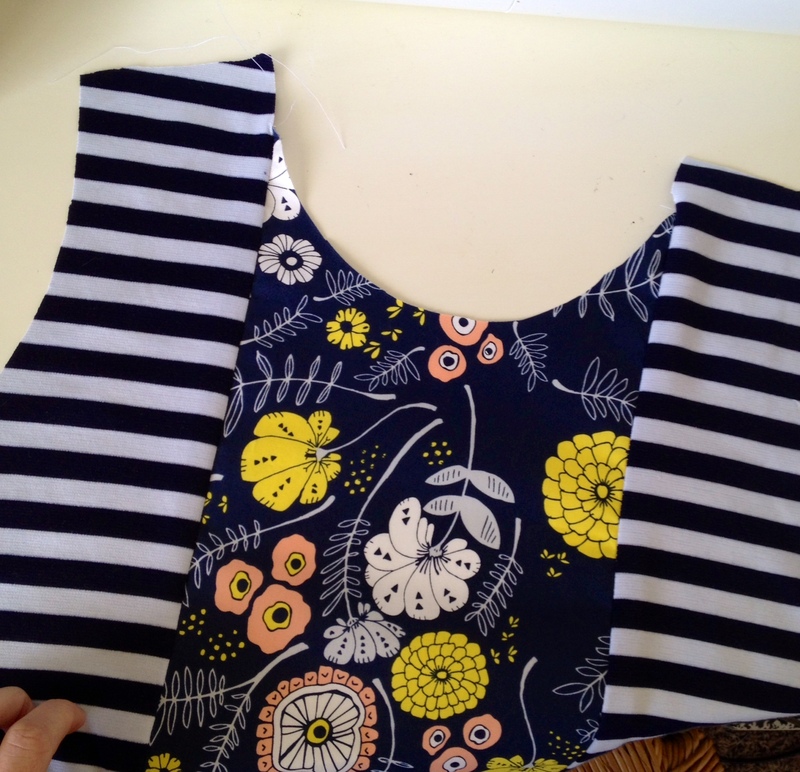 -Front Neckline Facing (cut 1 on fold- just trace your bodice front pattern neckline and make it about 2″ wide). 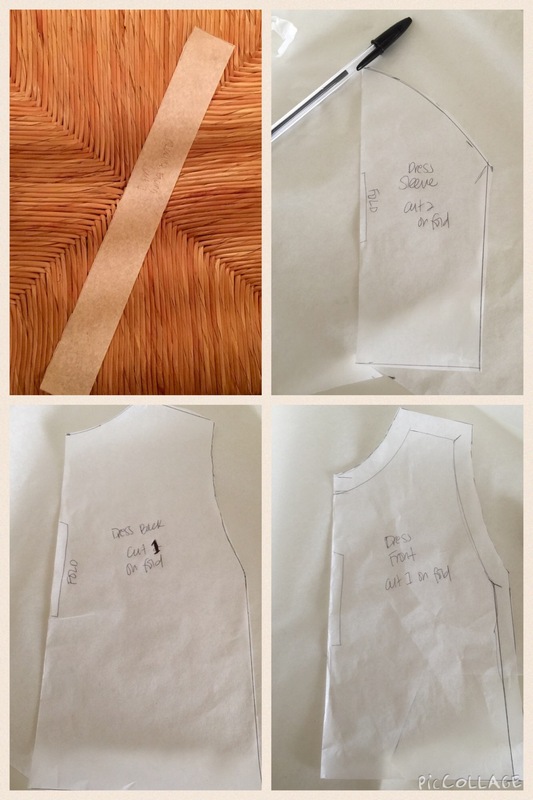 -Back Neckline Facing (cut 2- trace bodice back pattern piece). 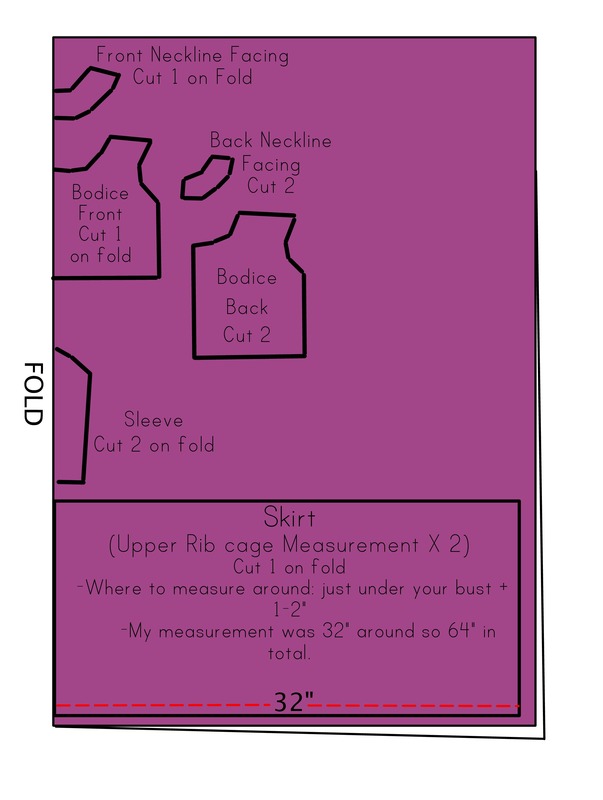 -Skirt (Cut 1 on fold- measure just under your bust around your whole rib cage, and double that number for your width. Measure yourself lengthwise for desired length. It will look like a rectangle). 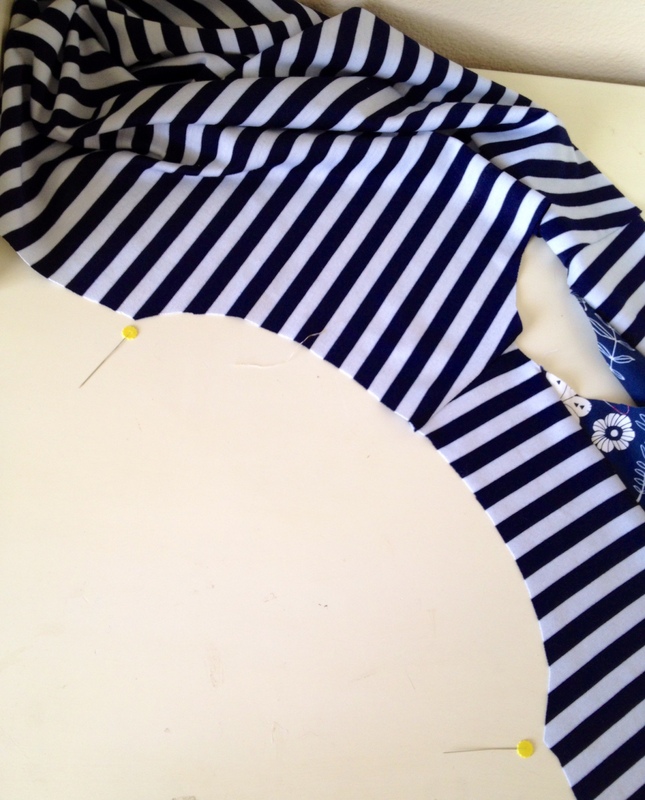 Step 1// Begin putting your bodice together by sewing the front and back shoulders seams together rst. Iron seam, and trim seam allowance. Step 2// Hem your sleeves using a blind hem stitch. I like to do this by hand. 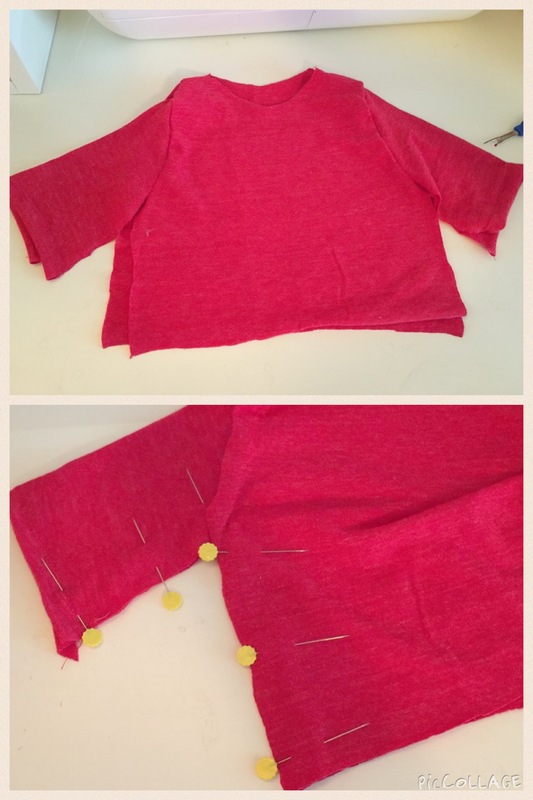 Here is a great tutorial: Sew your sleeves in. (here are pictures of a previous project using the same steps). Pin sleeve into armhole RST. Make sure ends and centers are pinned first. 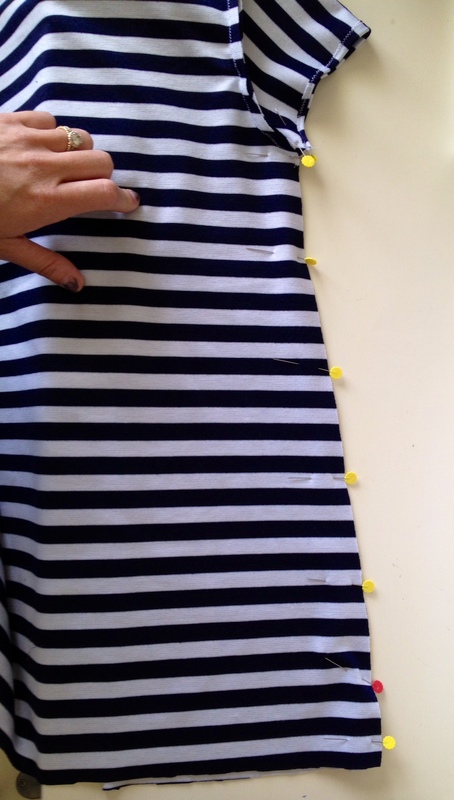 Once pinned in place, sew in your sleeve using a zigzag stitch at 5/8″. Trim seam allowance. 3// Pin your side seams rst and sew from bodice bottom to under arm to end of sleeve in one continuous seam, sewing up the whole side for both sides each. 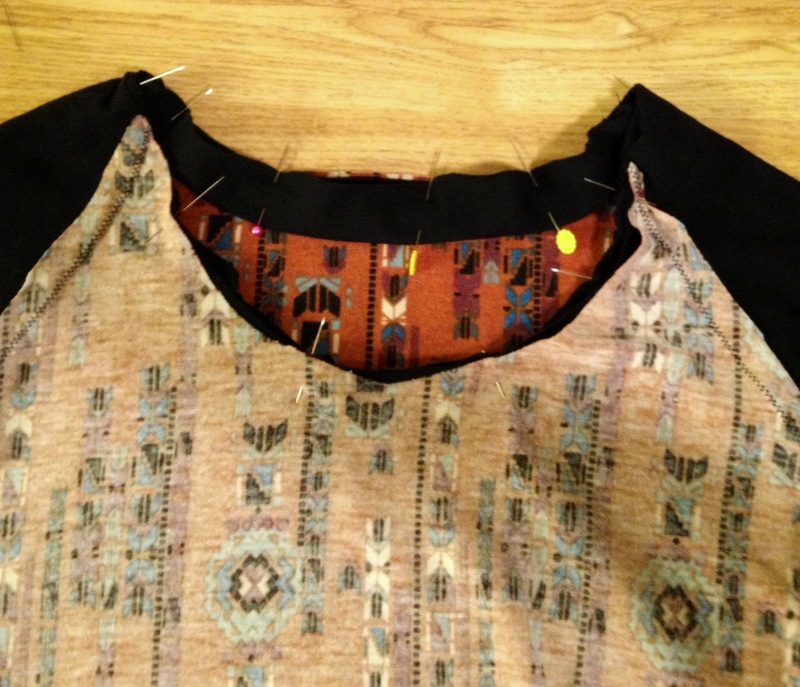 4// Finish edge of your neckline facings using a zig zag stitch if you desire. Sew front neckline facing to both back neckline facings where shoulder seam would meet. Pin facing to dress neckline rst lining up your shoulder seams, sew in using a straight stitch. Trim seam allowance. Iron facing behind dress front to finish off the neckline. I tacked my facing down at the shoulder seams to keep it from flipping up. 5// Gather skirt. On top edge of skirt piece, baste the whole length of the skirt at 1/2″ & 5/8″, remember to leave your thread tails long. Pin center of the skirt piece to the center of the bodice front rst, then line up skirt edges to the bodice edges, also pin. (See picture below). Gently tug your thread ends and gather each side evenly. baste two pieces together at 5/8″. 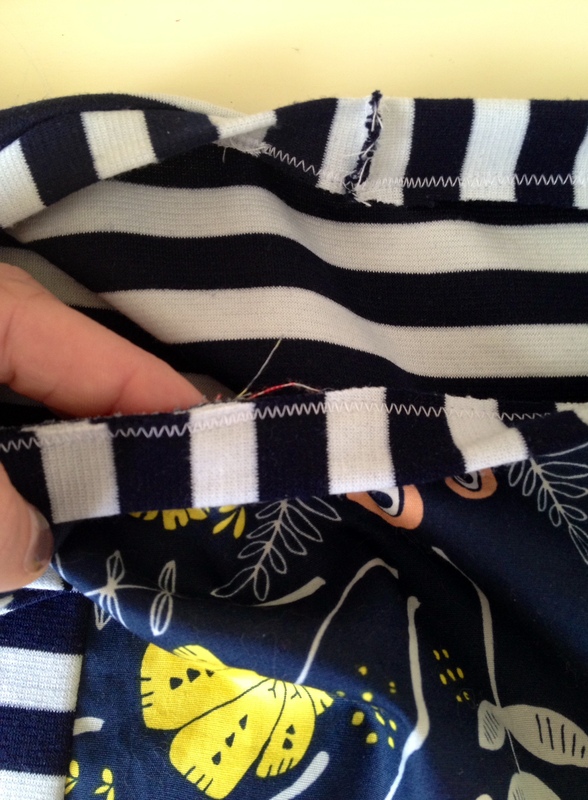 Make sure everything is in place where it should be, and sew using a zigzag stitch. 6// Sew in your invisible zipper using the instructions on the zipper packaging. 7// Hem your dress to desired length. All done! 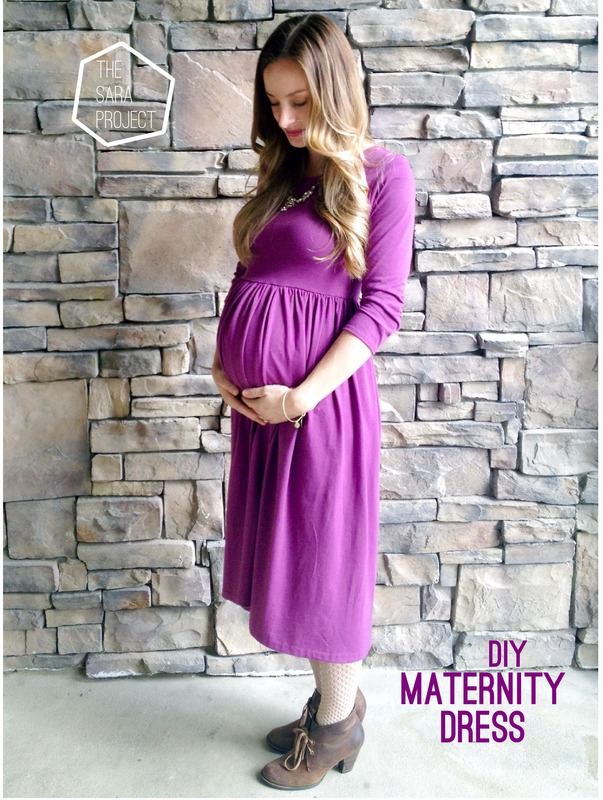 I hope this helps with some of your maternity fashion dilemmas! This is my new go to dress. I may or may not have worn it three times last week! 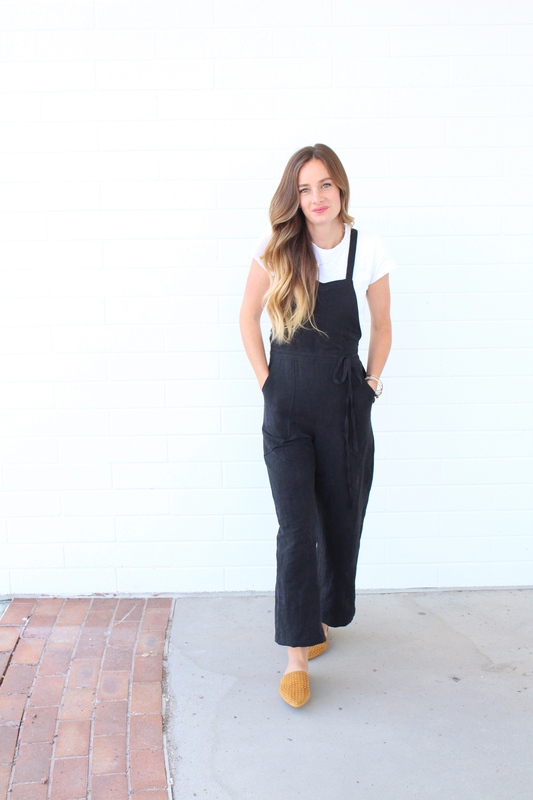 It’s great for any body type, and I love how loose, comfy and cool it is. And it’s EASY to boot. This dress calls for 1 1/2 yards of the ethnic print cotton jersey knit and about 1/4 yard of the black cotton jersey knit. The fabric I used for this dress was purchased at a discount store, but I attached links above to one of my favorite fabric websites online where you can find some great ethnic knits and black knits. Lets get started. First you need to make your pattern. I used a t-shirt to trace my neckline, sleeve and underarm. 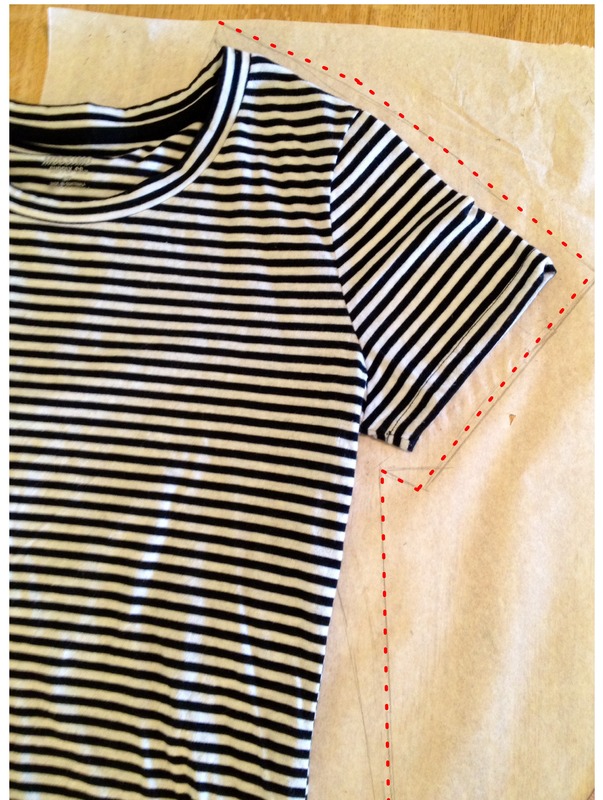 Fold the t-shirt in half and make sure to add 5/8″ for your seam allowance. 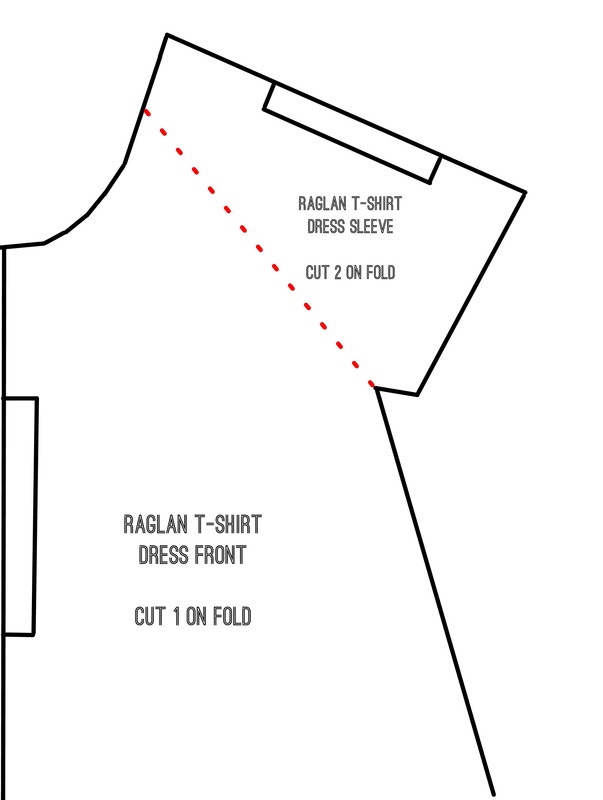 Next, you can create your raglan sleeve by simply drawing a straight line from the underarm to the neckline as shown below. From there you can draw a line from the underarm to the bottom of the dress at your desired length. Mine ended up being 38″ long and 12″ wide at the bottom for each separate front and back piece. 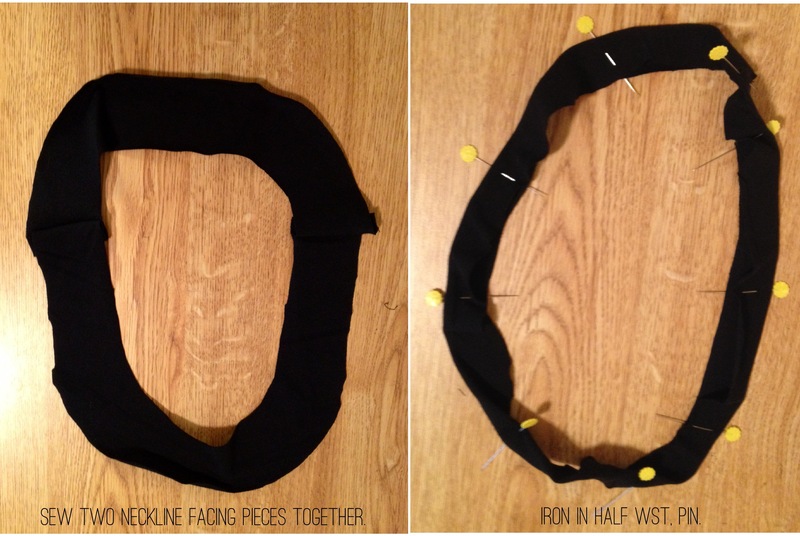 You will also need to create a pattern for your neckline facing. I layed the sleeve/dress front pattern pieces + sleeve/dress back pattern pieces together separately and traced the neckline. I made each piece 2″ thick. Remember to cut on the fold using the side nearest the front edge and not the side edge. 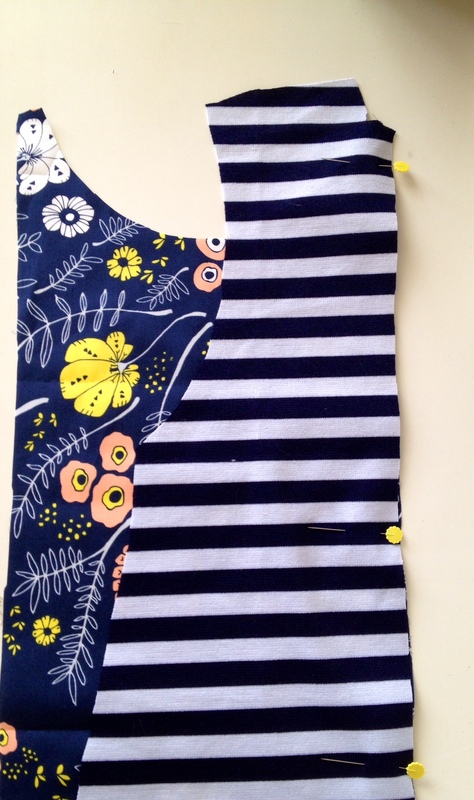 (Cut one of each on the fold- for a visual example check out my Blooming Boat Dress Tutorial). 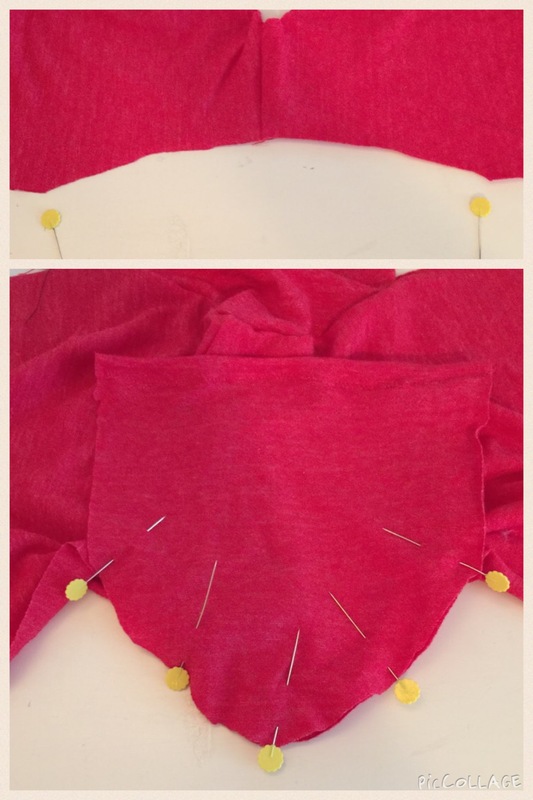 After you cut out your fabric, you can insert your sleeves. But, first I like to hem my sleeves. 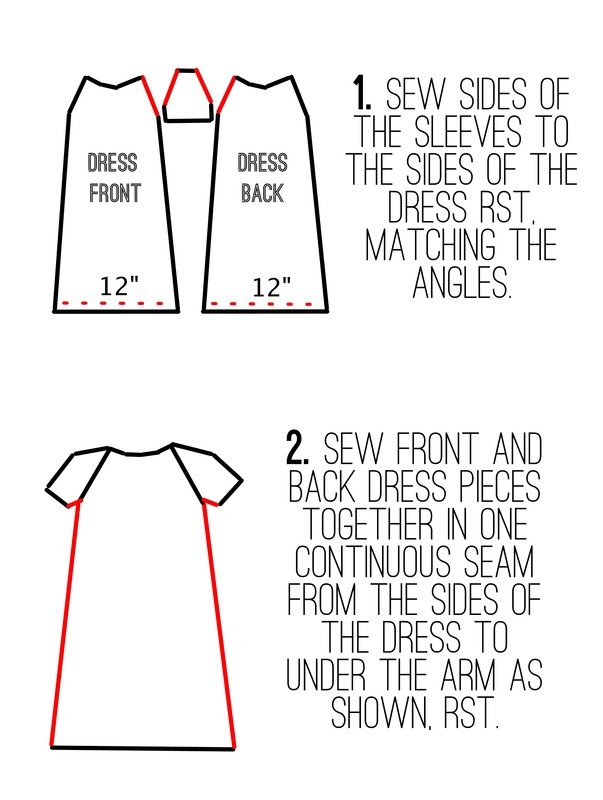 Hem your sleeves and follow the directions in the image below. Next pin your prepped neckline facing into the neck edge RST. Sew at 1/2″. 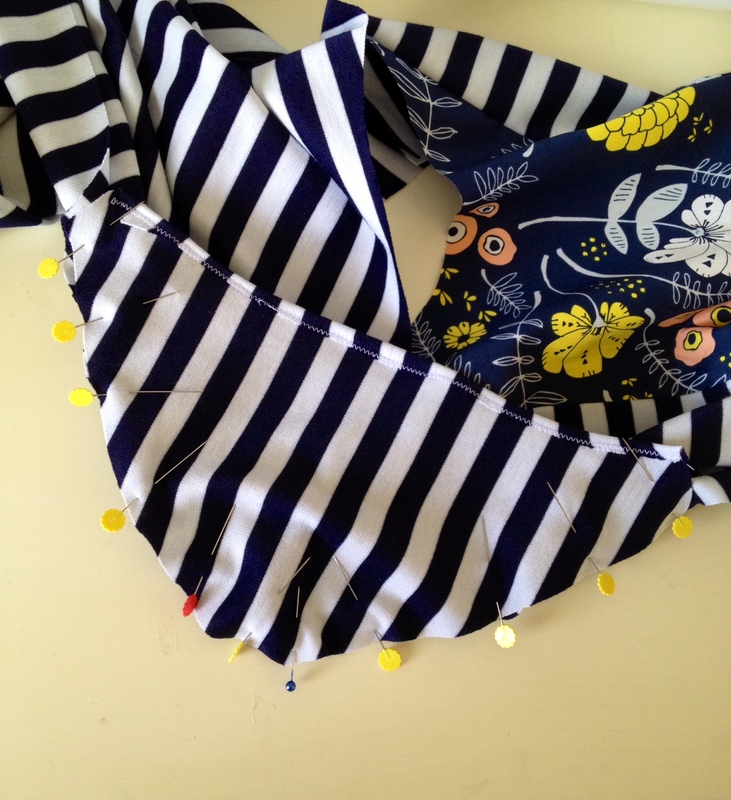 (Remember to use a straight stitch, and not a zig zag stitch to avoid of excess bulk around your neckline). 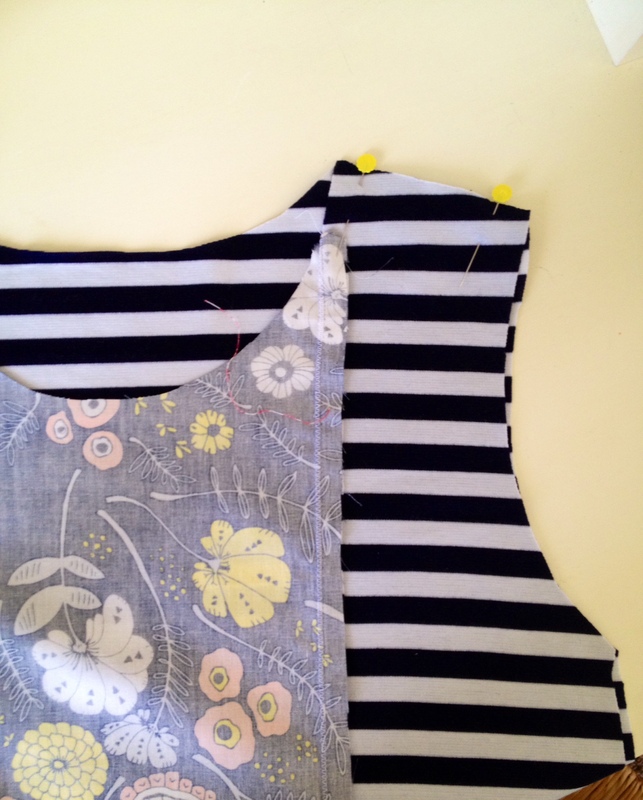 Trim your seam allowance and Iron your neckline facing up. Last step: hem the bottom of your dress. La fin! Now go try on your new cute dress!! 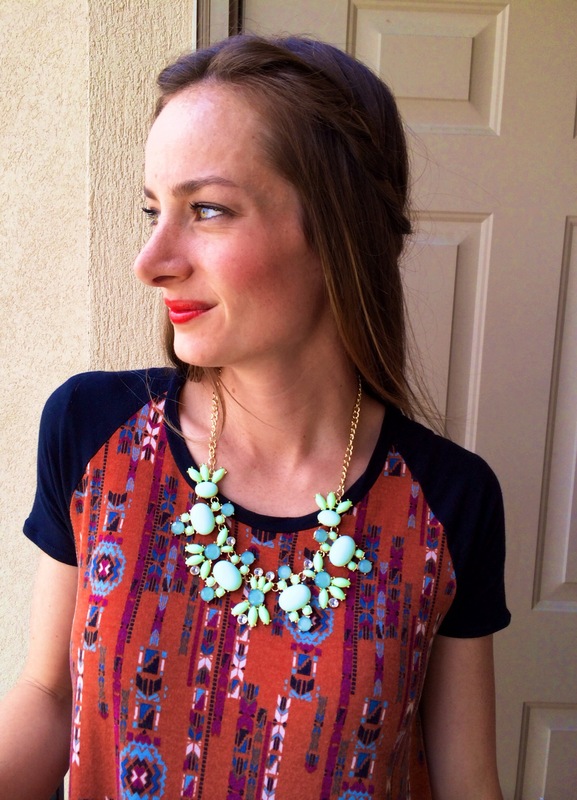 I am so thrilled with how this top turned out. 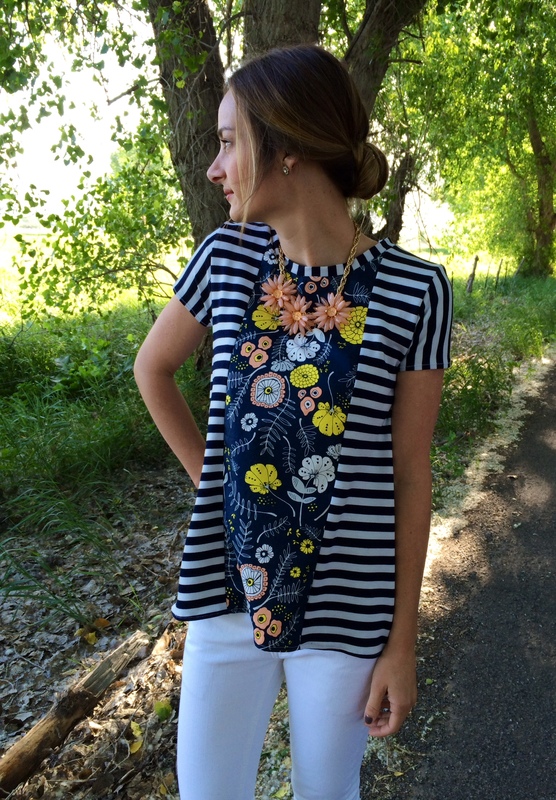 The A-line shape is so flattering, and I’l take a stripe and floral combo any day. I am even more excited to share my original pattern with you!! 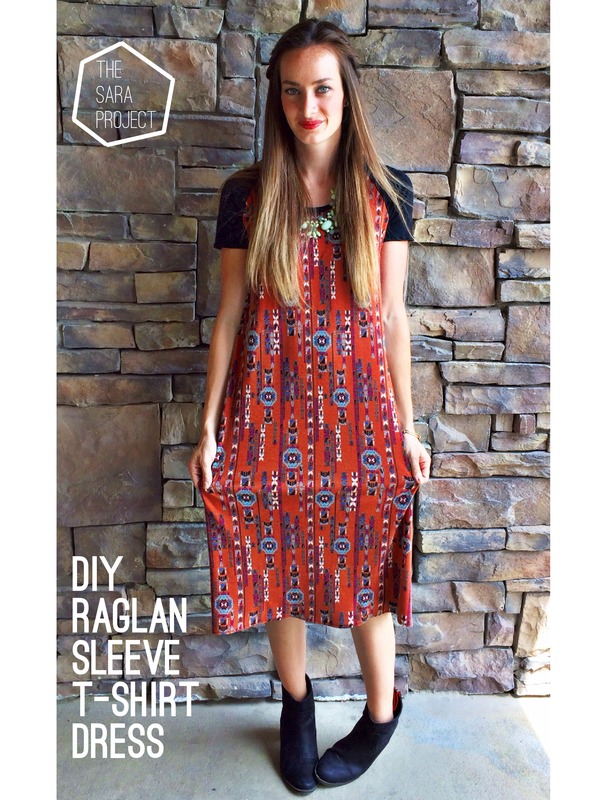 The pattern is available as a free download, but it is currently only in a size small. Most programs will automatically shrink or scale a PDF to print within your printer’s printable regions. It’s IMPORTANT that you set the scale option to 100%. If your printer does remove a small border when scaled to 100%, it’s easy to fill in the few missing gaps with a pen or pencil. First, you will need fabric. The amount of fabric you need for the front center panel depends on the direction the pattern runs on your fabric; it will need to be at least 26″ long. I bought 3/4 of a yard for the length. The fabric I used is Meadow Vale Dark by Leah Duncan. For the Rest of the top, pick a knit fabric that you like. 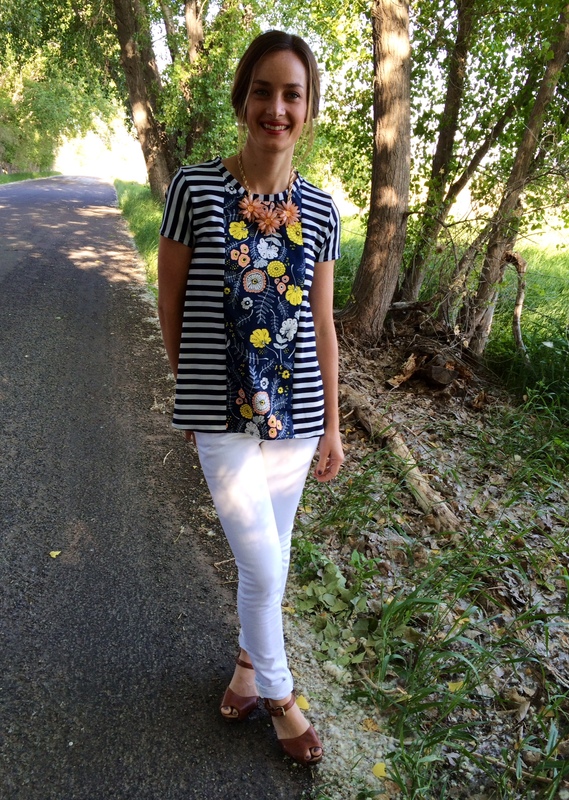 I used a white and navy ponte de roma knit from Girl Charlee. 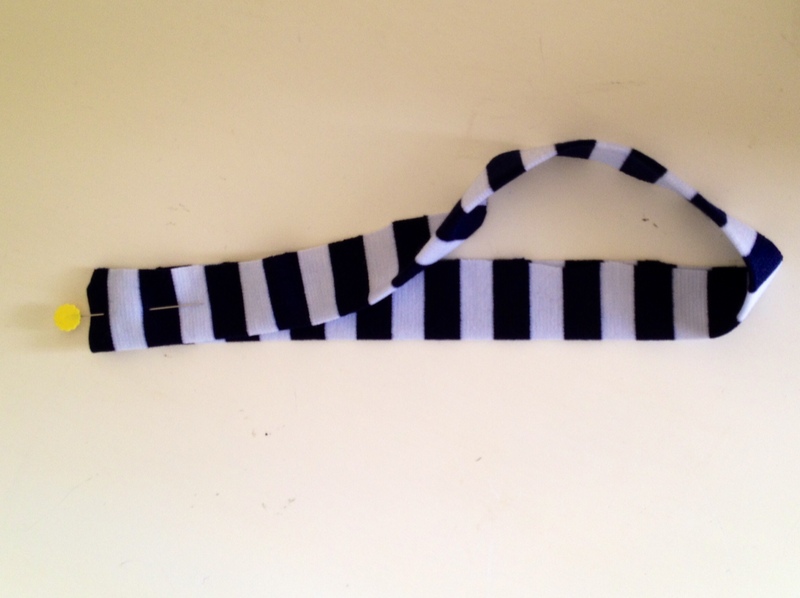 (It is currently sold out, but you can easily find this stripe pattern elsewhere). You will need about 1 1/2 yards. Step 1: Cut out your fabric! Step 2: I used a 1/2″ seam allowance, ball point needle and zig zag stitch. Sew the front bodice together with the front center panel and two front side panel pieces. Right sides together. Step 3: Sew the front and back bodice pieces together at the shoulder seams. Right sides together. Trim and iron seams. Step 4: Insert sleeves. Note the corners pictured below indicated by the yellow pins. This is where you will want to pin your sleeves at each end. But first, we need to hem our sleeves. Step 5: Sew up the side seams. 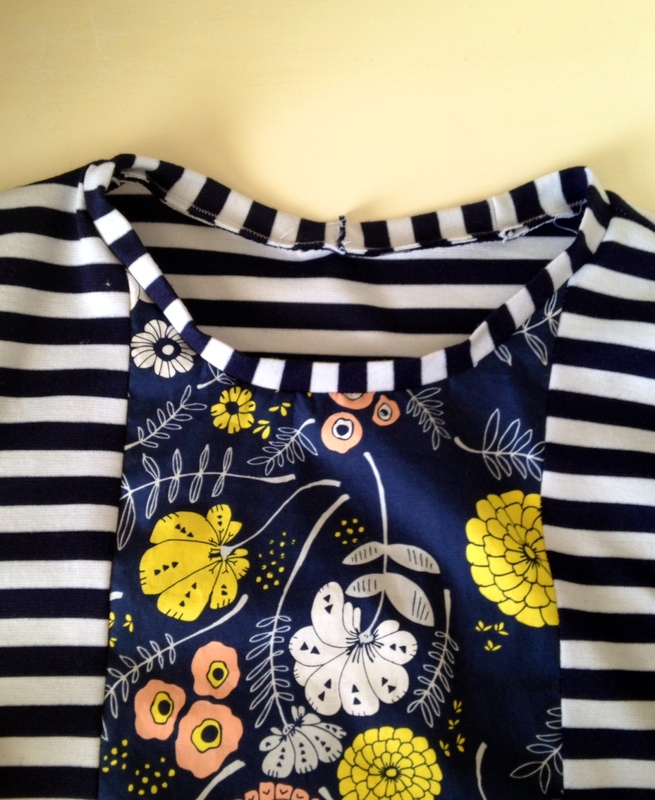 You’re going to sew from the bottom of the shirt to the underarm of the sleeve in one continuous seam. Step 6: Finish the neckline. First, fold your neckline facing in half and iron. Then pin the two ends together and sew. Step 7: Hem the bottom of your shirt. You’re done!! I would love to see your Sunny Swing Tees!! 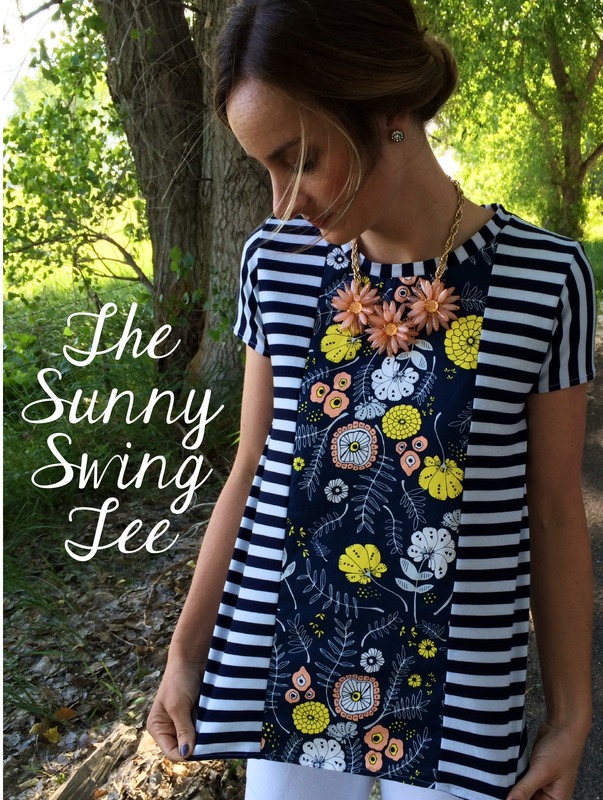 The Sunny Swing Tee has been featured by Lindsey McLaughlin. 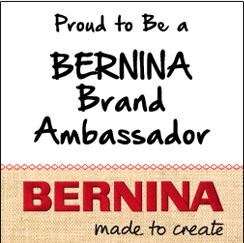 Make sure to check out her awesome blog! I have been dying to make a little dress for Olivia, and I finally found the perfect pattern. 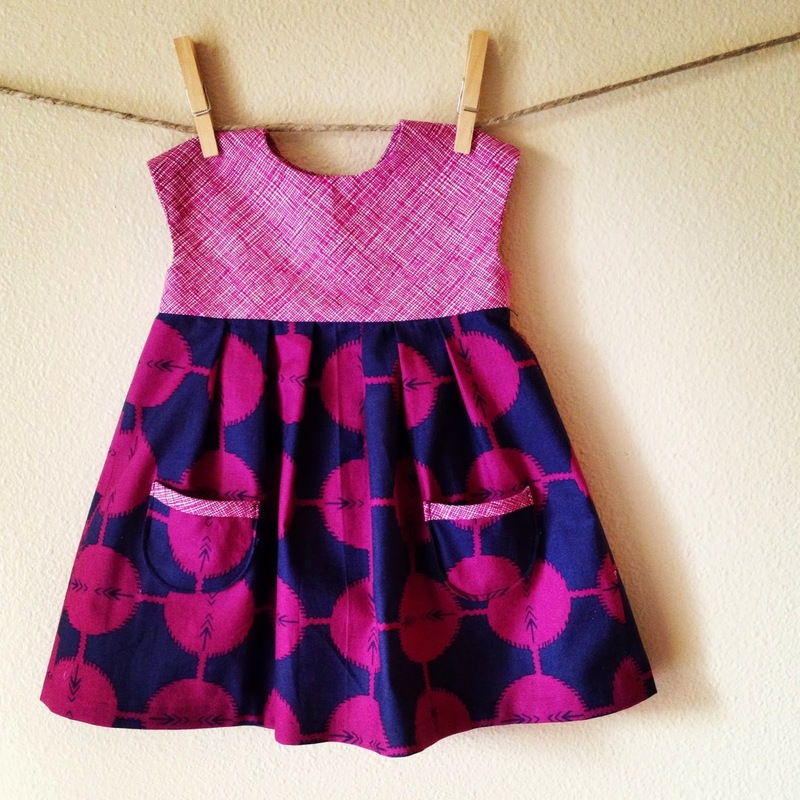 I used the Made By Rae: Geranium Dress pattern. 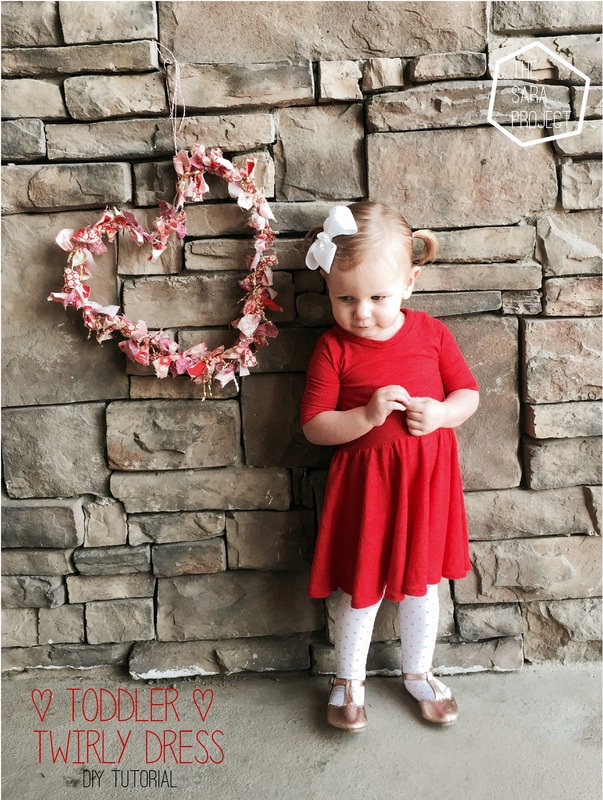 The pattern is very simple, so fun to get creative with and comes in size 0-5T so I will be getting a lot of use out of it. More dresses to come, and maybe even one in my size too!